That 6-story Windows Phone handset that Microsoft built in New York’s Herald Square is just the start of the company’s larger promotional plans for the second round of WP7 hardware. However this time around, the rules of the game are different. Microsoft is doing away with its big, top-down advertising campaign style, and is instead turning to manufacturers of specific handsets to push their wares. To encourage this, the company is putting up piles of dollars to help finance the ads. While the ‘a phone, to save us from our phones’ shtick was a generally well received ad suite, it did not manage to excite consumer interest in the Windows Phone brand as Microsoft had hoped. The company’s new strategy is almost mimicry of the, obviously successful, ‘Android method’ of commercial, which praises phones for their specifications and components. That’s a far cry from more traditional lifestyle advertising. It could be argued that Microsoft’s early ads have built initial mindshare that might make the coming ads from OEM partners more effective. According to reporting in AdWeek, Microsoft calls its new strategy “rolling thunder,” perhaps an allusion to its distributed, in terms of release timing, launch. That is to say that Nokia is already running ads in Europe, while certain brands have yet to embark in the United States, and so forth. HTC is active in the United States, it should be said, with its “In The Right Hands” campaign. And to perhaps add a touch of cement to its larger strategy, Microsoft is training several hundred thousand salespeople to ensure that when it comes time for the people in flesh to help or make a recommendation, they know what Windows Phone can, and cannot (like screenshots), do. The lack of training was noted in the last sales cycle as problematic. 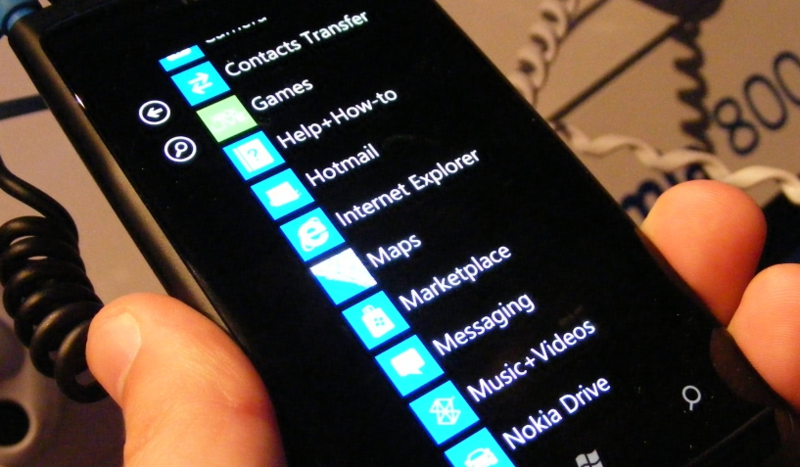 This is how Windows Phone will be supported this holiday season, what do you think? The comments are yours. Of course, you can find all our Windows Phone coverage here.